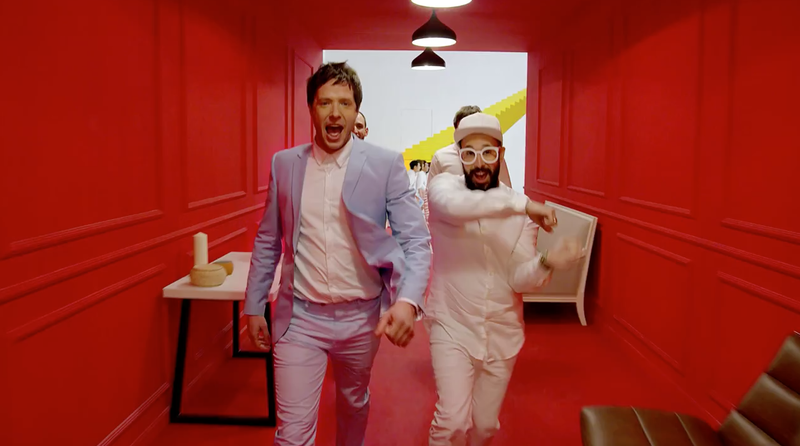 OK Go has collaborated with plenty of brands—including Chevrolet, Google, Samsung and State Farm—on its own music videos. But here is the first truly traditional commercial the band has ever filmed. Though of course, this being OK Go, it's far from typical. The ad, which the band worked on in China for much of February, is for the Chinese furniture store Red Star Macalline. Full of optical illusions, it visually references OK Go's 2014 video "The Writing's on the Wall" (which the band later accused Apple of ripping off) but is set to another OK Go track, "I Won't Let You Down" (a remixed version by drummer Dan Konopka).